Minneapolis South Rotary just became twice as fun with the addition of our second North Star Rotary Youth Exchange Student. 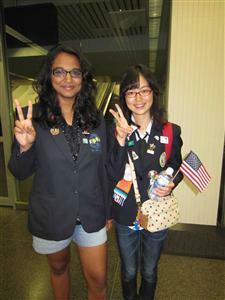 After a very long flight from her home near Osaka, Japan, Hiroko arrived in Minneapolis. 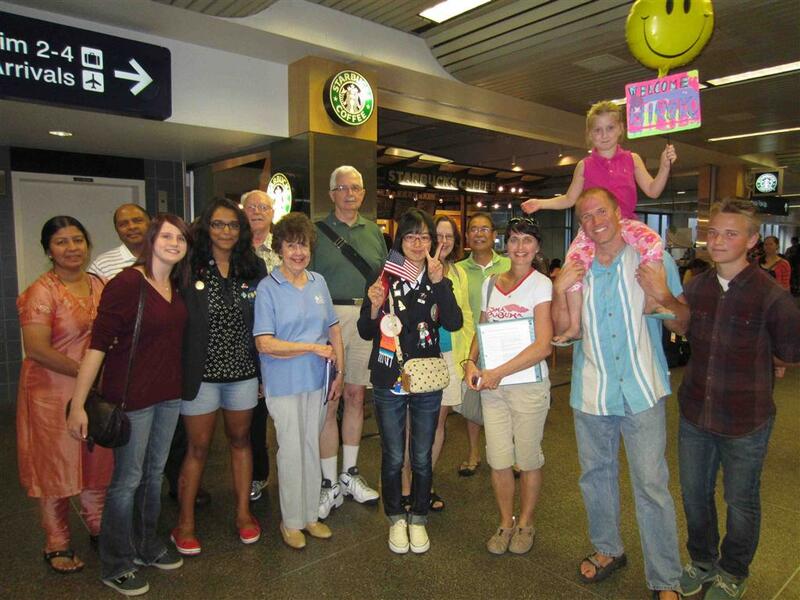 Her host family and members of the Minneapolis South Rotary Club came to meet her.This is Hiroko's first time outside of Japan. Also in the welcome group was Ketaki, who arrived to our club and community last week from India. She's had a whirl-wind week in Minneapolis, and Hiroko will have the same this week. Rotary Youth Exchange is a vital, dynamic and exciting high school exchange program that welcomes foreign teens to Minneapolis and Minnesota, and sends Minnesota teens abroad for a year. To learn more about becoming an exchange student or hosting, click on the "youth exchange" tab on our club home page.